And we’re Home Sweet Home! It’s official, Intel Pack4DreamHack Winter 2015 has already ended. On Sunday morning we boarded our double decker once more to start the trip back to our dear home country The Netherlands (and for some of the Packers Belgium of course). Barry the Busdriver did everything in his power to make sure we would beat the big upcoming storm in Sweden (the bridges actually closed during the night when we were already half way Germany). Thanks to both Barry and Willem (the other busdriver) we managed to beat the record of coming home early! Most of us where in their bed around 2 am. 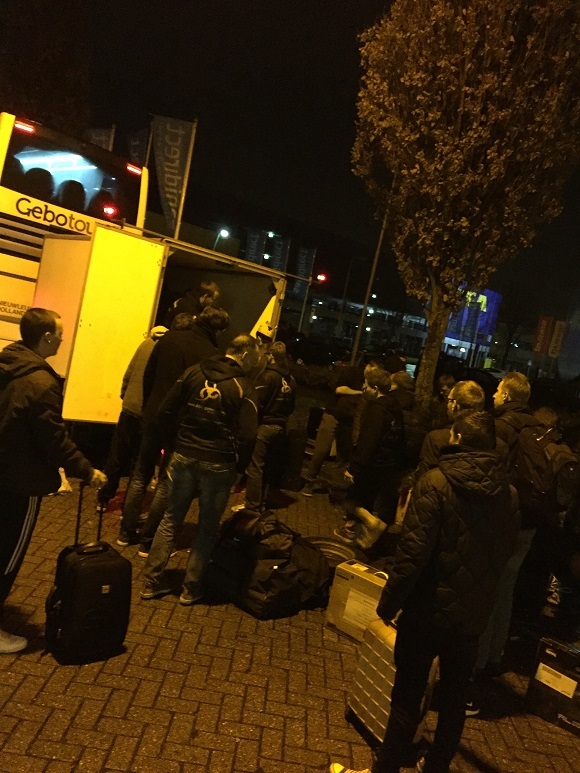 We as Intel Pack4DreamHack want to thank everyone on the bus for making this Winter 2015 edition again. Especially those visitors that help us with making this trip easier, those that help with unloading and loading the bus and even answering questions for people that had their first time DreamHack. The community of the bus is what makes this event special every time again and forges new friendships and makes us all have crazy stories about this awesome LAN event in Sweden. Next to that is also the sponsors and the forces behind the screen that make Intel Pack4DreamHack possible. Intel, Alternate and Duh-Events. And then of course there is DreamHack and their whole crew. The Cosplayers, the people from Sweden, the eSporters and the streamers. The videocrews, mediacrews and press in general. Everyone working together to make an event that’s the most awesome and best you can imagine, and trying to top it every time again. We loved it and we hope to see you again next time! Ook jullie bedankt voor het mogelijk maken van deze fantastische ervaring! Het was mijn eerste dreamhack en hopelijk niet de laatste! Houdoe!